The award recognizes outstanding service to CRA as an organization. 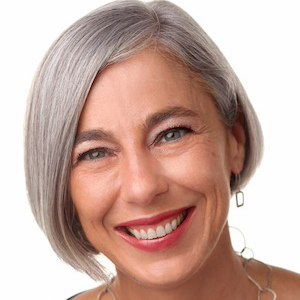 The Computing Research Association (CRA) is pleased to honor Mary Fernández with the 2018 Service to CRA Award for her work in transforming the visual identity and communications of the organization. Mary was a member of the CRA Board from 2009 to 2015, during which time she spearheaded several key initiatives to re-brand and revitalize communications. Mary first became involved with CRA in 2008 by serving as a speaker and mentor at CRA-W’s Advanced Career Mentoring Workshop. She joined the CRA board in 2009 as an ACM representative and co-chaired the 2010 CRA Conference at Snowbird the following year. Mary was also a speaker at CRA-W Grad Cohort 2011, the CRA-W Mentoring Tracks at Grace Hopper in 2012 and CRA-W’s Distinguished Lecture Series in 2017. As chair of the communications committee, Mary advocated to CRA’s board of directors the importance of developing a strong brand identity and directed several initiatives to improve communications. She guided a multi-year effort which clarified and strengthened the CRA mission statement and re-branded CRA as a more unified organization. Mary was instrumental to making the vision of creating a new brand identity for CRA a reality. She took on the challenge of finding a way to bring the multiple identities that make up CRA under one cohesive brand and succeeded by building consensus with members, staff, committee chairs and board members. The new look was unveiled at the 2014 Conference at Snowbird and positioned CRA as dynamic and collaborative, while preserving the unique identities of CRA’s distinct committees. The new CRA symbol is designed to represent great minds coming together. The symbol was created by combining many ovals of different sizes into one symbol to illustrate dynamic collaboration. Each committee’s logo is a different color to both strengthen its individual identity and connect it to the organization as a whole. Mary currently volunteers her time and energy to the boards of several nonprofit organizations, using her wealth of leadership expertise to help advance their missions. After serving on the board of MentorNet for several years, she took on the role of CEO in 2013 and revitalized the organization to enhance its mission to increase the representation of historically underrepresented individuals in STEM fields; it is now a division of Great Minds in STEM. Mary also spent 17 years at AT&T Labs Research, as a research computer scientist specializing in database and information systems, then as the head of distributed computing research, and finally as assistant vice president of information and software systems research. Mary left the CRA board in 2015 to focus on other responsibilities, but her work has had lasting impact. The vibrant CRA and committee logos and unified web presence are all the results of her amazing leadership, and this is evident to anyone who attends our events or visits our websites. The Service to CRA Award will be presented at the upcoming 2018 CRA Conference at Snowbird. 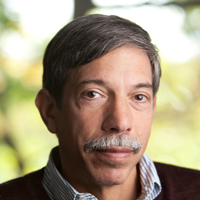 Fred was a member of the CRA Board from 2007 to 2016, during which time he thought deeply about how to have positive impact on the computing research community and spearheaded several key initiatives. As chair of the Government Affairs Committee (2009-2016), Fred helped drive CRA’s policy agenda and developed the Leadership in Science Policy Institute, intended to educate computing researchers on how science policy in the U.S. is formulated and how our government works. The event has been held biennially since 2011, with more than 115 total participants, many of whom have gone on to advocate for the field, testify before Congress, or take on positions in Washington that help steer Federal policy for computing. As chair of the Committee on Best Practices for Hiring, Promotion, and Scholarship, Fred led the committee over a period of 18 months in conducting interviews with more than 75 academic and industry computing and information unit heads to understand the issues and gain insights from practice. Preliminary recommendations were vetted with department chairs and CRA Deans at the CRA Conference at Snowbird in July 2014, and were published in a CRA Best Practices memo entitled, Incentivizing Quality and Impact: Evaluating Scholarship in Hiring, Tenure, and Promotion. Fred played a central role in the development and success of the Computing Community Consortium, beginning with the 2010 site visit and follow on 2012 proposal for continued funding. He provided oversight of the Visioning Program process and was always a strong voice in shaping important research initiatives. But Fred’s importance extends beyond his knowledge, intelligence, and dedication. Fred speaks his mind, regardless of whatever direction the tide may be flowing, and there is always sense in what he says. Time and again, a thoughtful interjection by Fred has caused us to reconsider and change direction, to the enormous benefit of CRA and the field. Jean is recognized for her 15 years of outstanding service at CRA. She was editor of Computing Research News, and assisted the organizing committee for CRA’s Biennial Conference at Snowbird in planning the program and publicizing the conference to the computing research community. Jean also organized CRA Board meetings, elections, the preparation of CRA’s annual reports, and oversaw three annual CRA awards programs. The award will be presented to her at the 2014 CRA Conference at Snowbird. Phil Bernstein is recognized for his work as CRA’s Treasurer; he was instrumental in putting CRA on a sound fiscal basis including working to install sound financial controls. Carla Romero is recognized for her years of superb service as CRA’s Director of Programs, working primarily with CRA-W and CDC to create, implement and evaluate their programs.